USCIS has just announced that this 2017 year will go without premium processing for all H1B filings. The suspension will start on April 3, 2017 (the first day when cap H1B petitions will be accepted for FY2018 ) and will last for at least 6 months according to USCIS. It is important to know this, because many, when submit their H1B petitions provide only one, combined check for H1B petition and premium processing. 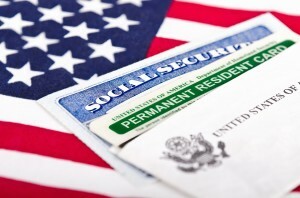 USCIS announced that in such cases it will reject the entire filing for the incorrect fee. It means that a person may loose his/her change for the H1B completely if the petition is rejected (including for the reason of an incorrect fee). Those who submit their petition before April 3, 2017, will be able to still take advantage of the premium processing. It means that requests to expedite will be considered on case by case basis only for H1B petitions this year, and significant amount of work will be needed to prove the meeting of the enumerated criteria (opposed to paying additional fee for premium processing). USCIS says that the change in premium processing will actually help to process long pending petitions and improve the consideration of the petitions all together. Perhaps, it is a better solution than redundant, unfounded RFEs that were issued in the past to slow down the premium processing requests. At least, one would not lose their paid fees this way. At the same time, lack of premium processing may negatively affect those waiting to change their status or those who have other “legal” issues that require fast answer on petitions. Those who are considering changing employers, or filing cap exempt H1B petitioners and are counting on premium processing, should file their documents before April 3, 2017. Rules regarding expedited requests can be found here: https://www.uscis.gov/forms/expedite-criteria. Immigration Rainbow: Good to Know! It seems that New York managed to avoid the powerful hurricane Hermine. Quoting a famous singer “after a hurricane comes a rainbow”… AILA or American Immigration Lawyers Association published a practice pointer that recommends to use…a rainbow in dealing with USCIS Nebraska Service Center. I must state that there is an ongoing problem with RFEs. And it is not just the latest demand of using “a rainbow” to respond to them. The problem usually lies in that cases get denied for failure to respond to an RFE when a person or his/her attorney never received one. Another issue with RFEs that I have spotted (and I am sure I am not the only one) is that they contain demands for information/documents that were already provided.